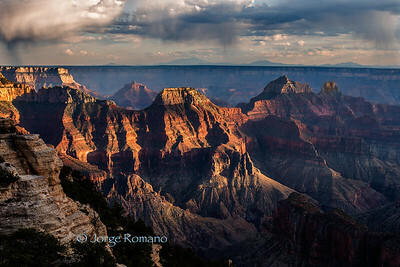 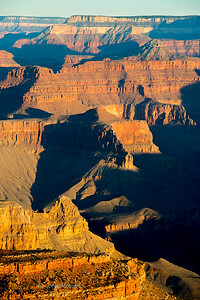 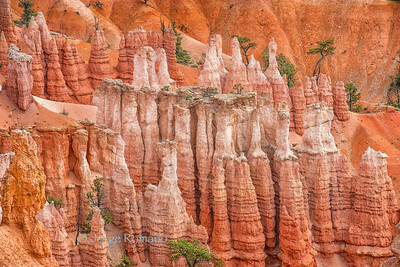 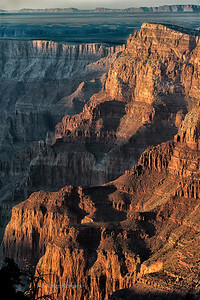 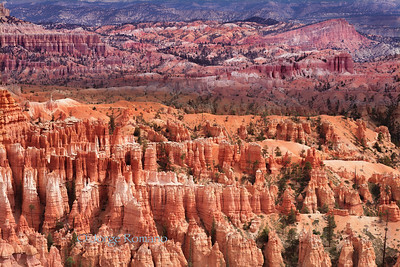 Landscape, Nature and Wildlife Images of National Parks in USA. 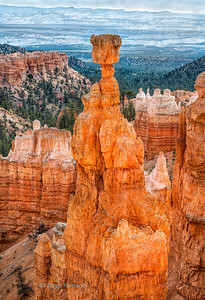 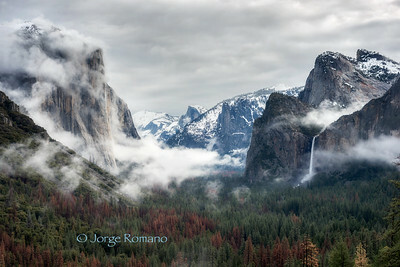 Winter foggy morning view from Tunnel View. 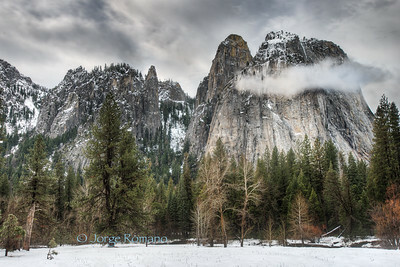 View of Yosemite Valley floor in Winter. 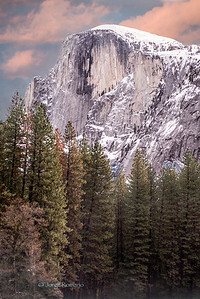 Yosemite National Park. 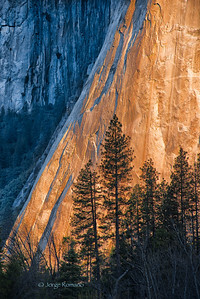 Photographing Yosemite Valley in the early morning was very exciting, that is, after getting out of my sleeping bag with freezing temperatures and putting on all my warm clothes! 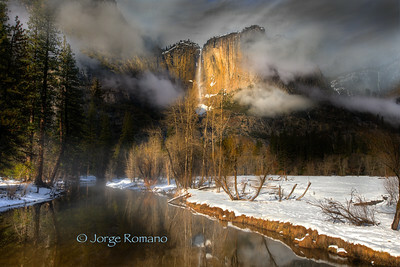 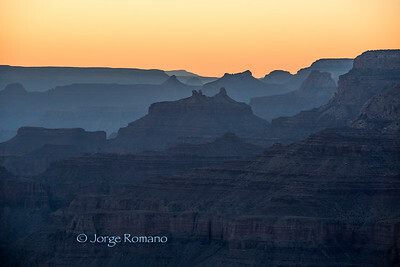 I went to this location where I knew the light at sunrise could be special in early Spring. 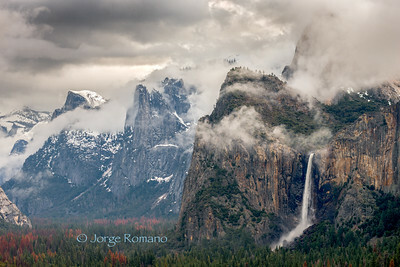 Since it was cloudy, I stood there hoping for some direct sun light to get through and as I was getting ready to leave, it happened! 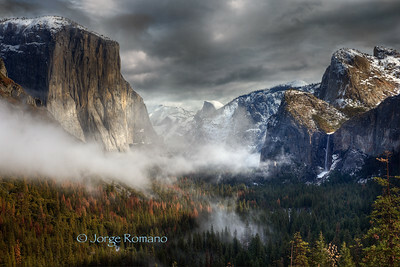 Very often, being patient can be very rewarding. 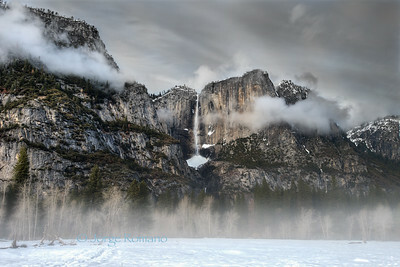 Yosemite Falls and the Merced River on a cold winter evening. 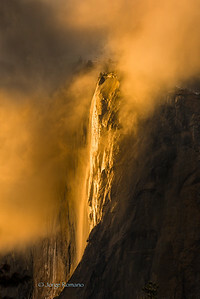 Horsetail Fall also known as Firefall. 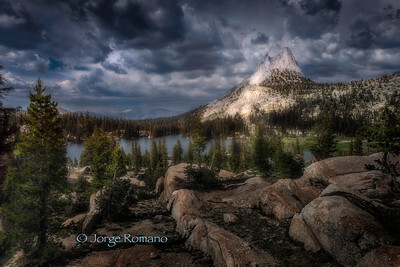 This photo was taken before sunset in a brief opening of the clouds during a storm. 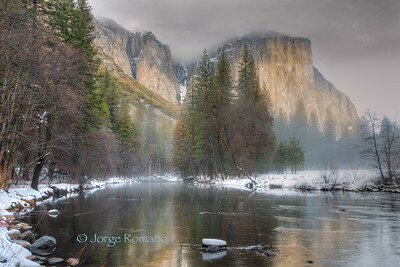 View of El Capitan and the Merced River as seen from the valley floor on a Winter morning. 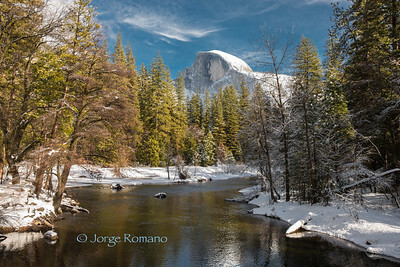 View of Half Dome from valley floor on a Winter afternoon. 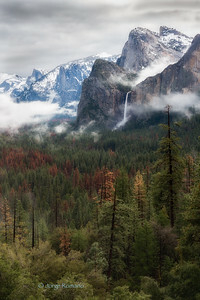 View of Yosemite Valley from the Tunnel View on a Winter morning showing El Capitan, Half Dome, the Three Sisters and Bridalveil Falls. 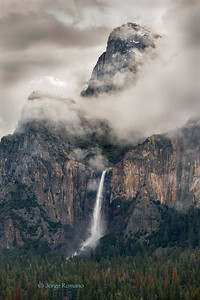 View of Yosemite Falls from the valley floor on a cloudy Winter morning. 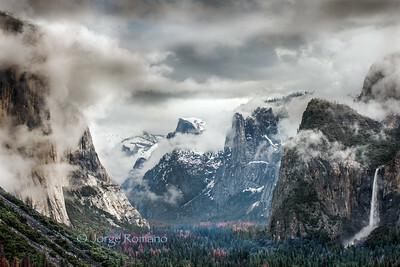 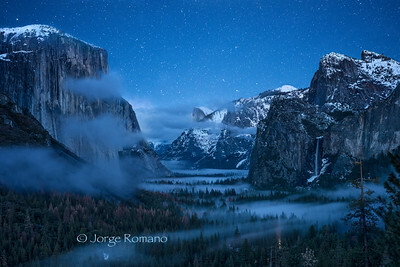 View of Yosemite Valley on a Winter night with low clouds . 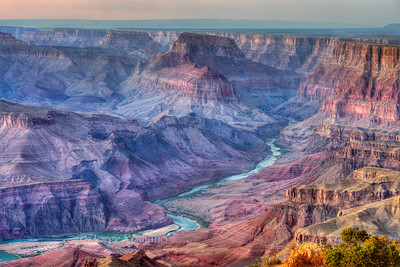 The Watchman and The Virgin River. 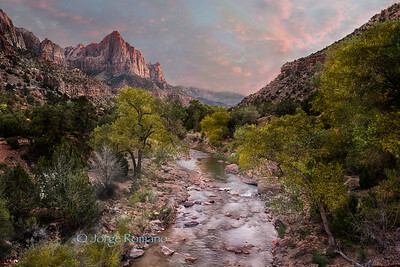 View of the Watchman and The Virgin River at Zion National Park in the evening in September.